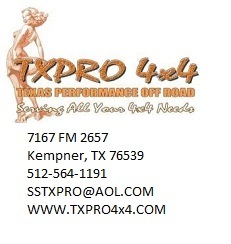 TXPRO 4x4 where you can ask us anything and keep up to date with what is going on. » Well.......Got bored last night. » will a jk axle fit under a tj? » Are you needing something? » Check out Shawlyn's NEW EXTREME RIG!